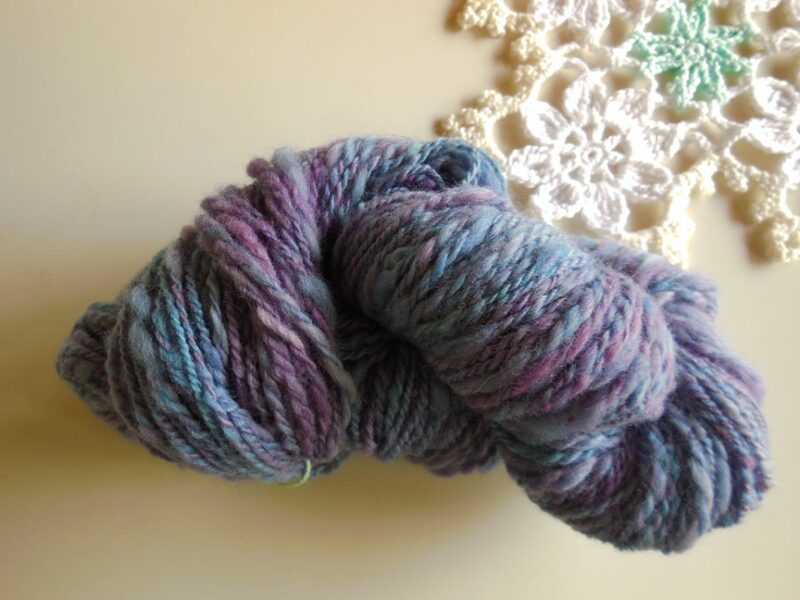 remember when I spun my first yarn? Well, it has been sitting in my stash for ages until now! 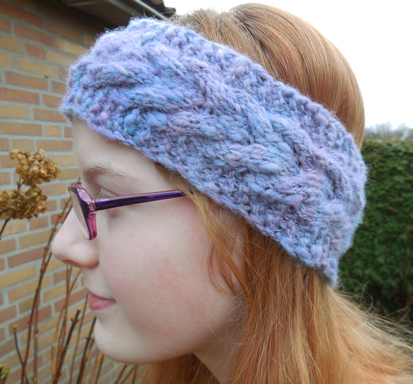 I needed something to keep my ears and head warm for the upcoming winter and found the perfect pattern! I saw various FO’s and knew it was exactly what I wanted. 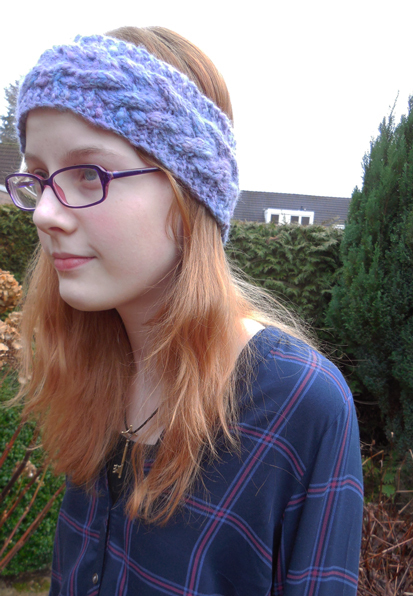 A yarnloving mama designed this pattern and made a beautiful version with handspun as well. 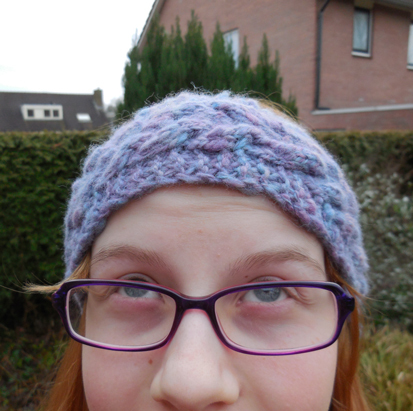 It’s called ‘womb of wisdom’ and uses very little yarn. 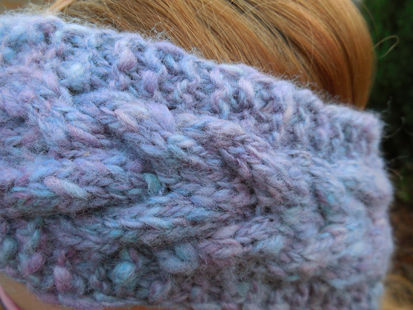 The pattern is very easy to follow and perfect if you want to dive in to knitting your first cables! You can stop whenever it fits, leaving some negative ease to stretch around your head. I really love the special colors the handspun gives me. So natural and different from handdyed yarn. It just blends together in one awesome blue/purple color. Are there still winter projects you need to finish? Oh this is lovely! I could really use on of those, whenever my hair doesn’t allow hat-wearing. I’ll keep this in mind as a weekend project.